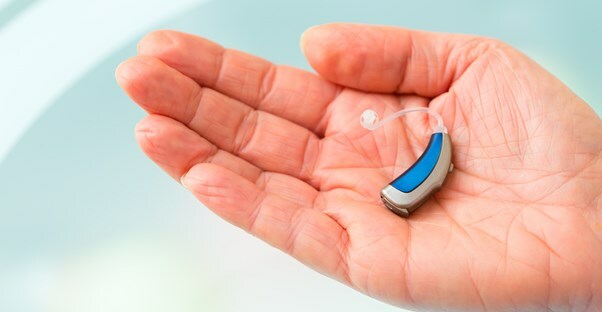 Whether you have a hearing impairment or are caring for someone with one, it is crucial to learn how to care for a hearing aid. A hearing aid is an extremely expensive piece of equipment, and if you want to make sure that it stays in good shape for an extended period of time, regular cleaning is essential. If you maintain the hearing aid correctly and with proper respect to its delicacy, you can maintain it for years. The shell of a hearing aid is essentially the part that comes in contact with the ear and is not the receiver or the microphone. There are two types of shells available at this point. Some shells fit inside the ear, while others hook behind the ear. When you are dealing with a behind-the-ear model, you need to clean the entire surface, as it will all attract oil and debris. With an in-the-ear model, you should focus your attention the bends. To clean the shell of a hearing aid, very slightly dampen a tissue and use it to wipe the shell down. Never use a tissue or cloth that is very wet or that will leave water in the hearing aid itself, as this can damage the entire device. Some hearing aids come with a brush that can help you remove stubborn debris. Turn the microphone upside down to clean it. This helps any debris inside the port fall out. Wipe down the microphone just as you did the shell, and never poke anything into the port. The receiver usually comes with a wax pick that will help you remove ear wax from the receiver. The wax pick is a wire loop that you can use to remove ear wax. Gently insert the pick into the receiver and lightly scrape until you have removed all of the ear wax. Some systems come with things like wax guards, which your audiologist discuss with you. The batteries in a hearing aid typically last between a week and two weeks. Remember to check to make sure that the batteries are full for the best performance from your hearing aids. To make sure that your batteries are doing their best, store them in a cool, dry place before you use them. Keep spare batteries on you in case of emergencies. If you want to make sure that your hearing aid is working well, you need to be in communication with your audiologist. Ask your audiologist how to use a listening tube to do audio checks, and speak to your audiologist immediately if you hear any feedback on your hearing aids at all. Your audiologist is the professional who can help you stay on top of your hearing aid care.